False alarms, i.e. an alarm which has been generated by the fire detection system but not in response to an actual fire, are one of the biggest issues faced by the fire industry. It’s a well quoted figure, but worth remembering, that false alarms cost the UK in excess of £1 billion each and every year. That figure has been calculated from loss of production and disruption to businesses, increased insurance premiums and the cost to Fire & Rescue Services. False alarms take up valuable resources of Fire & Rescue Services, made all the worse because of the 30% cut to their funding during the course of the last parliament and the subsequent loss of nearly 7,000 frontline jobs. It has become such an issue that some Fire & Rescue Services will not attend a fire alarm unless it has been verified as an actual fire. Furthermore, in England or Wales, organisations may be charged by Fire & Rescue Services if they attend a false alarm event. For businesses and organisations of all types, false alarms not only cause an obvious loss of earnings but can also impact on customer experience, especially for those that have people sleeping in them; no one wants to be woken up in the middle of the night and have to evacuate in their PJs! Minimising the number of false alarms is therefore a top priority for all concerned. Automated Fire Detection systems can be designed to include sophisticated techniques to avoid false alarms, including filtering signals at the control panel. The control panel could be configured to deactivate certain zones at pre determined times when false alarms are most likely to occur, or set delays before an alarm is sounded to allow for investigation. However, these don’t really solve the problem – they are more of a sticking plaster. Instead, it would be preferable to actually stop the false alarms in the first place. Prior to installing Nittan EV-DP detectors in student accommodation, the University of East Anglia was experiencing around 20 false alarms every week caused by steam. Not enough is known about the causes of false alarms, although the Building Research Establishment (BRE) has made headway. In its briefing paper ‘Live investigations of false fire alarms’ – reporting on a research project carried out with Scottish Fire and Rescue Service – the main causes of false alarms reported were, in decreasing order of occurrence: Unknown, Fault, Dust, Cooking, Weekly testing, Accidental activations, Steam, Aerosol and Water ingress. Steam as an identified cause of false alarms is quite far down the list. For the likes of commercial buildings this is pretty understandable as there are few sources of steam. However, for organisations where people are sleeping which are likely to have en-suite facilities, as to be found in hotels and student accommodation, false alarms from steam are high up the causal list. Best practice and relevant standards dictate that smoke detectors should never be fitted in kitchens or bathrooms. This is because these environments generate steam and cooking vapours which can be ‘misread’ as smoke by detectors. In a kitchen you would use a heat alarm instead. In a bathroom you would not use an alarm. This becomes problematic in a hotel, for example, as you must have an alarm in each bedroom, but the en suite bathroom is in very close proximity. A guest who has enjoyed a long hot shower or bath lets the steam into the bedroom as soon as they open the bathroom door. This situation is compounded by the fact that in many cases the alarm needs to be close to the main door/lobby to protect the occupants escape route – which is also where you most often find the bathroom door. 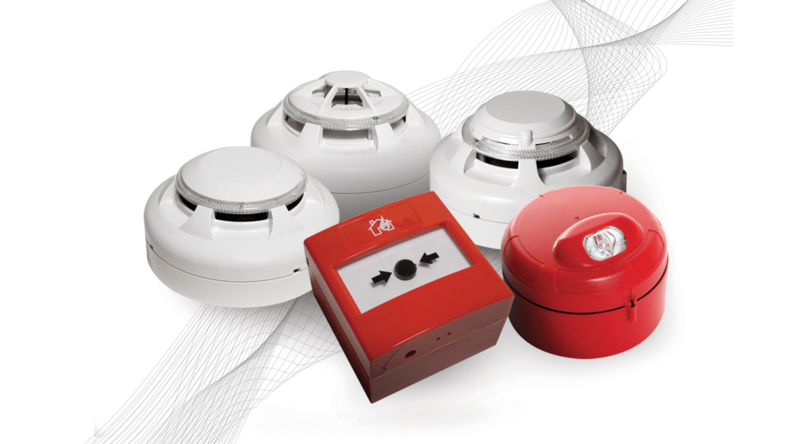 Generally speaking, the Infra Red scattered light technology currently used for commercial smoke detectors is unable to distinguish between larger size particles like steam or dust, that are major causes of false alarms, and particles generated by combustion (fire). One solution is to move the detector further away from the bathroom. Depending on site conditions, a smoke detector may be sited up to 7.5 metres away from a potential alarm source and still meet the British Standard. However, this could compromise safety as it’s also further away from the escape route (i.e. the door). There’s also a not inconsiderable cost element to this solution, from moving the devices and cables to redecorating afterwards to cover up where the alarms had been previously; not to mention the potential disruption and loss of earnings for a business. And there’s still no guarantee that the steam wouldn’t affect these devices in the new location. You could adjust the detector performance, usually at the control panel, for given periods. This might involve switching a smoke/heat detector to heat only mode or simply reducing the sensitivity of the detector. Both of these approaches compromise safety to a degree. 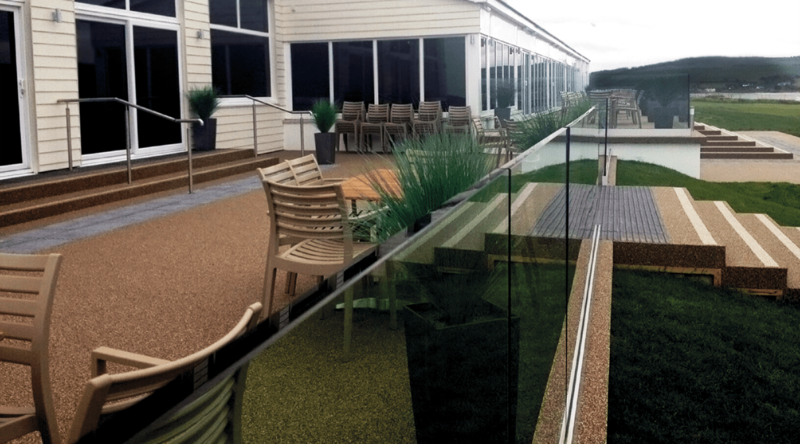 The Cliff Hotel & Spa have prevented further false alarm issues by using Nittan Dual Optical alarms. A further option is to use a Multi-Sensor. Unlike single sensor based detectors, a Multi-Sensor combines two sensing elements, usually optical and heat. It interprets the signals from both sensors to get a better understanding of what’s really happening in the immediate environment. Due to this, it benefits from a quick response to both slow smouldering and fast flaming fires yet has greater immunity to false alarms. It’s a better option, but ‘greater immunity’ may not be good enough; Multi-Sensors are still somewhat susceptible to false alarms caused by dust and steam. A Multi-Sensor is based on the principle of ‘two is better than one’. The other detector based solution open to you uses the same principle but in a different way, based on Gustave Mie’s theory on particle light scattering (published in 1908 but only made possible in modern times through the increase in computational power and micro processors which allow for relatively complex algorithms in sensor heads). Dual Optical alarms use a single sensor type – optical, which ‘looks’ for smoke using a scattered light beam in the sensing chamber. Instead of just using the standard Infra Red light, it also employs blue LEDs to provide a more accurate measurement of particles within the chamber. By calculating the ratio of these light sources, which operate at different wavelengths, the detector can determine the particle size and thus distinguish between smoke and non-combustion products such as steam, aerosols and dust. This technology is incorporated into Nittan’s Evolution EV-DP and EVC-DP detectors. It reduces false alarms caused by all these mediums, but the detector remains sensitive to combustion products to generate an alarm. In addition, the detector has been made more sensitive to flaming fires by shifting the alarm threshold level when the ratio of the two scattered light wavelengths indicate that the particle size present is similar to the smallest size defined as a smoke particle. 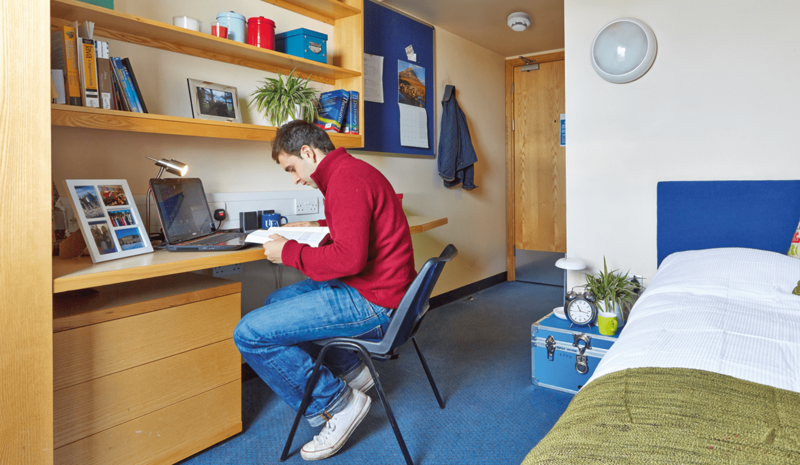 The University of East Anglia’s (UEA) student accommodation is a good example of the issue of false alarms caused by steam. UEA was experiencing around 20 false alarms every week caused by steam escaping from the bathrooms and activating the smoke alarms. Each alarm event has to be checked and verified by security personnel before Fire & Rescue Services will attend. A reduction in false alarms was therefore not just convenient, but also had significant cost and time benefits. Nittan has been at the forefront of the international fire protection industry since 1954. The Cliff Hotel & Spa in Cardigan, West Wales experienced similar problems. A large family-owned hotel, the Cliff Hotel features 70 en-suite bedrooms, spa and gym facilities, function suite and a golf course. The hotel had been experiencing a number of issues of false alarms, primarily caused by steam escaping from the en-suite bathrooms and activating the smoke alarms. The installer, Fire and Security Alarms Ltd., was familiar with the problem and replaced the existing alarm system with a Nittan Evolution system including over 200 EV-DP dual optical smoke detectors. The new alarms have prevented further false alarm issues for the hotel. Fire detection and alarm systems are absolutely essential, but no one should have to put up with false alarms. If you have a fire detection system that is causing disruption as a result of false alarms, take action. False alarms, especially from steam, don’t have to be a headache! Lee James is the General Manager – Sales and Marketing, Nittan Europe Ltd.